I am a results driven tutor with a keen ability to motivate my students in order to achieve their full potential. Through the use of various teaching methods I prefer to tailor our lessons as to best suit the student. 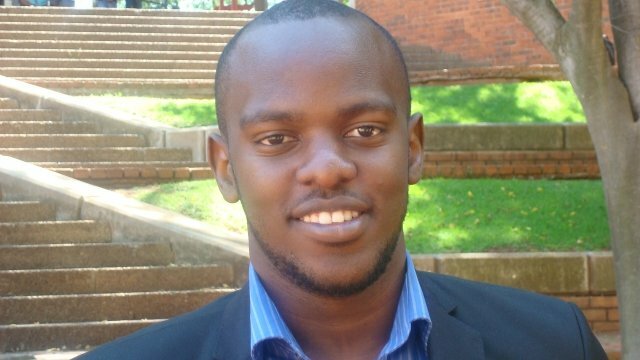 Science is my life and I take great joy in sharing my knowledge.I am currently doing my masters in electrical and electronic engineering at the University of Johannesburg.I completed my bachelor degree in electrical and electronic engineering at the University of Johannesburg in 2011 with distinction. I was the best student of my promotion and of the whole faculty. I am a very hard worker who always seek the best out of people and myself. I am very dedicated, ponctual and always do my best to meet my targets. I have been tutoring for the past 6 years at university level. I am very good at what i am doing. I tutored maths, applied maths, physics. All my students are really benefiting from my services and i am really professional at what i do. If you want to pass with distinction contact me. Focus on understanding the concepts because i believe that if you dont have a roadmap to go to Durban, you cannot just drive and go because you might get lost. This is the same in learning. You need to understand the concepts and definitions before attemting problems. Reply from: William: Im sorry about that. Originally it was online thats why i accepted. It was too far. WilliamFrom Mirjana (5/5): So far we have had two lessons with William. My son is very happy with him, and finds him to be extremely polite and very knowledable. we look forward to many more lessons and getting Gareth to excel in maths. WilliamFrom Camron (5/5): Beyond great tutoring on Math, William has also given helpful advice on studying and exam technique. Reply from: William: Thank you. Reply from: William: Thank you. I really appreciate the feedback. WilliamFrom Roger (5/5): Professional, punctual and very knowledgeable! Reply from: William: Thank you very much. He is helpful and makes you feel good about yourself. I will contact you early next year to set up tutoring for Carl. We just need to take a look at his time-table first. WilliamFrom Celia (4/5): William has been helping my daughter with exam preparation for Grade 11 IEB Physics. He has good subject knowledge (he's a clever guy! ), and has assisted with content understanding as well as with exam practice. My daughter understand much more, and his help has been valuable. WilliamFrom David (5/5): The tutor knows his material and is highly gifted in presenting and simplifying it to the student. WilliamFrom James (5/5): William has tutored my Son Dante for 4 sessions of 2 hours each and we cannot be more than stafisfied with his approach. Dante is more confident about maths now then what he was two months ago. His Maths cycles results has improved signifcantly and he mentions that he understanding concepts, which he initially had difficulty with, much better. A job will done by William and I would recommend him strongly.